Coastal Zones: Solutions for the 21st Century bridges the gap between national and international efforts and the local needs for actions in communities where coastal zone challenges are faced daily. The solution-oriented approach covers issues of coastal zone management as well as responses to natural disasters. This work provides ideas on how to face the challenges, develop solutions, and localize management of common-pool resources. 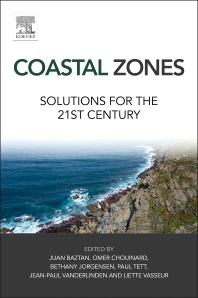 Coastal Zones targets academic stakeholders and coastal stakeholders who have local knowledge and experience but need a theoretical framework and a greater range of skills to make use of this experience. Discussion: What Are the Management Proposals for Peruvian Coastal Zones? Social-Ecological Approach: What Is the Connection? Representations: What Do We Mean by Sustainability of the Industry? Integrating Territorial and SES Approaches: Opportunities? Chapter 16. Lobster Fisheries in Atlantic Canada in the Face of Climate and Environmental Changes: Can We Talk About Sustainability of These Coastal Communities? After earning a double degree in geology (University of Barcelona) and oceanography (University of Perpignan) in 1998, Juan went on to receive his PhD in marine geophysics under the direction of Dr. Jean-Pierre Rehault at the Institut Universitaire Européen de la Mer and the Institut Français de Recherche pour l' Exploitation de la Mer in Brest, France. His PhD dissertation, "Formation et évolution des canyons sous- marins du Golfe du Lion : relation avec les cycles glacio-eustatiques” was developed while he was working on a team led by Dr. Jean-Louis Olivet, and was presented in November of 2004. During his time as a student, he participated in eight oceanographic research cruises, including (i) the first oceanographic cruise of the research vessel Hesperides through the Exclusive Economic Zone of the Canary Islands in 1998 and (ii) in early 2000, he completed a month-long research cruise in the Bransfield Basin of the Antarctic continent. In 2010, he joined Professor Jean-Paul Vanderlinden’s research team at the Observatoire de Versailles SQY. Juan’s dedication to interdisciplinary research has connected him with local, regional, national, and international experts through his work on projects such as (i) THESEUS: "Innovative technologies for safer European coasts in a changing climate" and (ii) ARTISTICC: "Adaptation to Transdisciplinary Research and Policy Community Centered Approach", this project seeks to analyze how knowledge, in all its dimensions, can be mobilized to foster coastal adaptation to climate change. Professor at the Université de Moncton, for several years, Omer Chouinard has worked with the Southern Gulf of St. Lawrence Coalition on Sustainability, fishermen's unions, watersheds organizations in New Brunswick, and with many coastal and island communities. He was part of the Canadian aquaculture research network, AQUANET, and is often called as an expert on issues of integrated management, coping, and social economy. Bethany Jorgensen graduated from the University of Chicago in 2008 and is currently a graduate student at the University of Maine. She has been an editor for Marine Sciences For Society since 2009, and became a co-coordinator of the group in 2014. After a career in oceanography, studying especially the links between phytoplankton and physical processes, Paul Tett is now Reader in Coastal Systems at the Scottish Association for Marine Science, thinking about the relationships between coastal ecological and social systems. 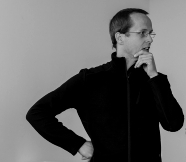 Jean-Paul Vanderlinden is a Professor of Environmental Studies and Ecological Economics at the Université de Versailles Saint-Quentin-en-Yvelines (UVSQ). Additionally, he is the coordinator of the “Adaptation Research, a Trans-disciplinary Transnational Community and Policy Centred Approach” project from the International Group of Funding Agencies for Global Change Research. 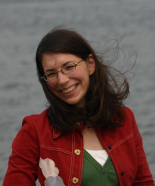 Dr. Liette Vasseur is a full professor in the Department of Biological Sciences at Brock University, and is also a member of the Brock Environmental Sustainability Research Centre and Women and Gender Studies Program. She was recently nominated as a UNESCO Chair titled “Community-based sustainability: from local to global”. Her research focuses on sustainability and sustainable development in natural resource based communities using an ecosystemic transdisciplinary approach. She is currently involved in codirecting a large community-university research project with Canadian coastal communities on adaptation to climate change.